© Jogja Painting 2018. All Rights Reserved. Feel the adventure with dinosaurs. 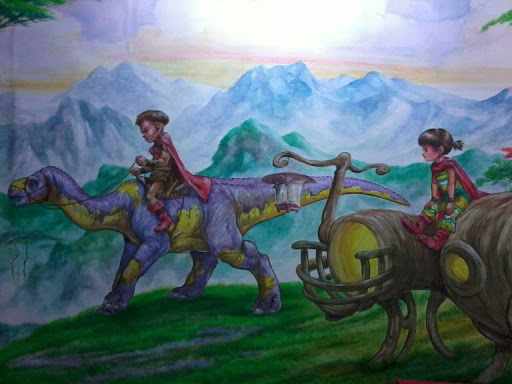 Various kinds of dinosaurs created by Jogja Painting will take you to the new adventure. Freshen up your cafe, office, even your house with mural/wall painting from Jogja Painting. We are more than ready to make your imagination come true.